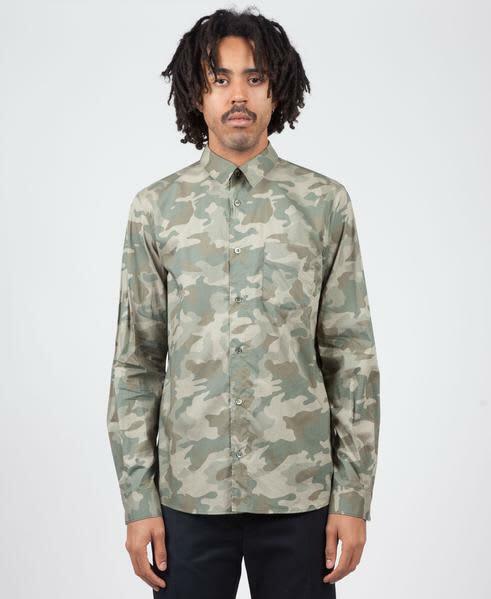 The Italian camouflage-print cotton poplin from A.P.C. This Straight-cut shirt comes with a classic top stitched collar, top stitched buttoned placket and a nice back yoke. Camouflage is something A.P.C.